Vineactiv – a deeply energizing and nourishing Caudalie treatment with detoxifying properties. It also removes pollutants from the skin. 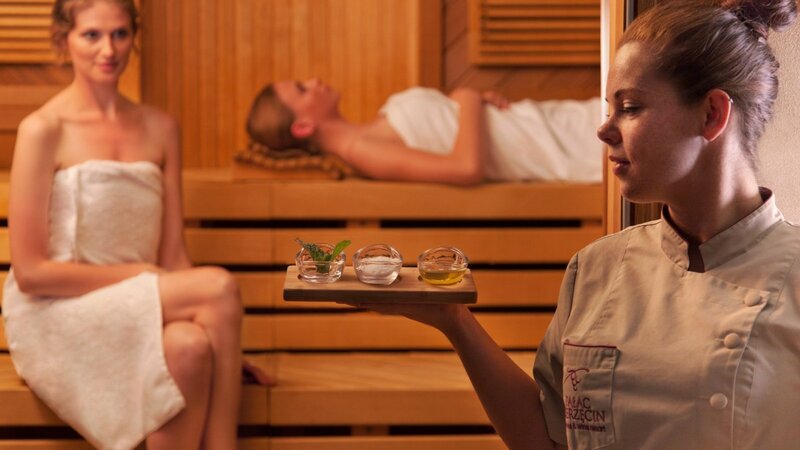 Wine Bath – a steam bath séance at the Bath with an aromatic mineral grape mask to be applied by oneself on the body. Classic body massage – an intensive and energizing body massage. It concentrates on the problems connected with tension and strain.